What do you use a web browser for? If the question was asked a decade before, you’d have said “it’s for visiting web pages.” Now, Web Browsers are used for a wider range of purposes, such as reading your favorite sites, checking the email inboxes and handling a lot of confidential data like online payments. You can expect the hardships you would have to face if your web browser control is in evil hands, starting from the loss of passwords. That’s why we say you need to have safe web browsing from various kinds of cyber attacks, thus making your internet life secure. In this post, however, we have listed some effective ways for safe web browsing. These security tips would be effective in almost all popular browsers, including Google Chrome, Mozilla Firefox, Opera or Microsoft Edge. One of the most effective methods to have a secure web browser is to prefer 64-bit to 32-bit. When you are running the 64-bit variant of your favorite web browser – instead of the commonly-opted 32-bit, you get an extra level of protection. This is possible only if you are using a 64-bit OS in your computer, with compatible hardware. The 64-bit version of Microsoft Windows has been optimized against various kinds of security threats; so, your browser is also going to have the same protection. For Chrome and Internet Explorer, you can have stable versions of 64-bit. When it comes to Mozilla, however, you don’t have a stable option. It does not actually matter which web browser you are using; let that be Chrome, Firefox, Microsoft Edge or anything else. In all these cases, you have to keep the web browser updated. Each update comes with a lot of patches and the important security improvements. Suppose there is a common vulnerability that affects almost all web browsers out there. In this scenario, you need to make sure that your browser stays up-to-date, thus being inaccessible for the evil hands. The best option is to enable Automated Updating in the browser; both Chrome and Firefox offer this option. A wide collection of browser extensions are available for almost all popular web browsers and you’d be using a lot. It is essential to know which extensions you are using and what controls they have on your browser. 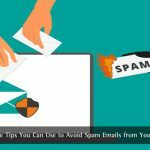 Just as there are a lot of productive extensions, there are some really bad extensions, which can interfere into your web life and make it susceptible to different cyber attacks such as keystroke logging and adware. In short, installing an extension in your browser is as important as installing a software in your computer. Therefore, you should know which extensions you actually and use as well as how much resources it is using. From the security and performance point of view, it’s best if you can use the least number of extensions. If you don’t want them, just remove. As you may know, there are a lot of plug-ins such as Flash and Silverlight that a web browser uses to load specific set of content. For instance, you need to install the Flash plug-in to play Flash-based content, such as the older YouTube player. However, there is a problem with these plug-ins: hackers or attackers will be able to find the vulnerabilities in these plug-ins and thus attack your web browser. To avoid these cases, there are some tips to be followed. First of all, if you want to use a plug-in, you have to use the latest version of that plugin. By doing so, you can get rid of the risk of the aforementioned vulnerabilities. In case of Chrome and Microsoft Edge, Flash plug-in is always up to date. You have to take care of the other browser plug-ins, anyway. Also, the case of Flash may be different as we are into other web browsers. Secondly, you can disable or remove the plug-ins you don’t want. It’s a fact that there may be many plug-ins such as Java that are never used. When you visit a malicious stuff or so, the plug-in may be reason for safety theft. So, it’s an awesome thing to disable the unused ones. The third option is to enable ‘click-to-load-plugin’ option. If enabled, browser plug-ins won’t be loaded by default. In its place, you can see a placeholder, clicking on which will open the content. This option lets you ensure safety and to save bandwidth. So, given that you have taken all the above-mentioned options, another extra-secure way is to use one anti-exploit program. You might be having a powerful antivirus installed in your computer; this is a kind of dedicated protection for your system. Anti-Exploit programs are meant to monitor your system and find out whether there is any type of unusual behavior with the system apps and all. If you want extra security, you can even go for a paid anti-exploit tool that would always be of use. 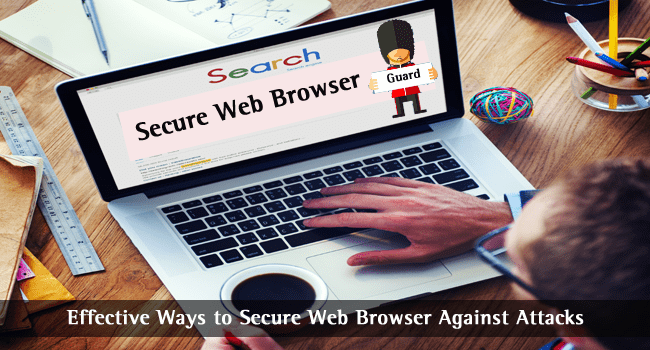 So, we have told you some of the effective methods to secure web browser, and thus stay safe from attacks. A bonus tip is that: you should know the websites and apps you use. There is no point in complaining about privacy & safety if you are into the pirate world. Do you use any other web browser security tips? Do let us know, through comments. Yeah find it helpful with security , We are a bank staff , So I need like this article thanks admin.